GOLDEN, Colo. — A Westminster man found guilty of killing his girlfriend on her birthday will spend life in prison without the possibility of parole. 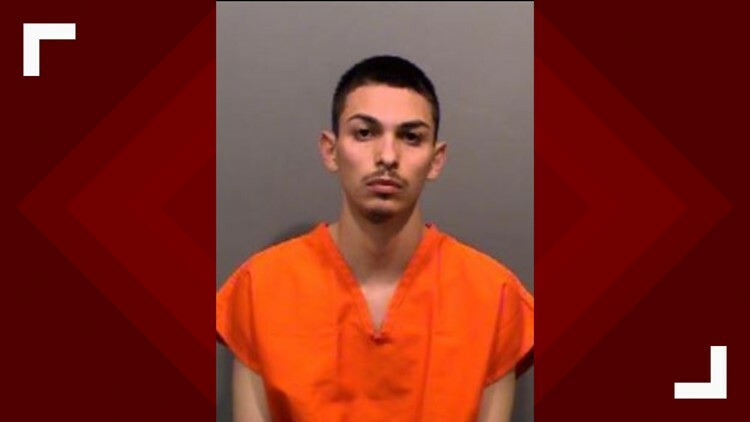 A Jefferson County jury returned guilty verdicts against 25-year-old Ezekiel Garcia on charges for first degree murder after deliberation and tampering with evidence on March 7. Garcia was sentenced on March 19. According to a release from the First Judicial District Attorney's Office, Westminster police were called to the 5500 block of West 79th Avenue on March 7 last year regarding a gunshot victim. Garcia was the one who called them, but he had given dispatchers false information about the shooting and a false name. He had left the home with the couple's five-year-old son before police got there. Officers found 22-year-old Destini Martinez lying on a bed with a gunshot wound to her head. She was pronounced dead at the scene. Police were able to track Garcia's cell phone as he drove down Interstate 70 to the Evergreen area and found the child at Garcia's mother's home. Soon after that, they learned from Thornton police that Garcia had turned himself in. He later testified that he had thrown the murder weapon off the side of the highway while he was on his way to Evergreen. That day was Martinez's birthday, and she had gone out with Garcia, family and friends to celebrate. Witnesses testified that Martinez and Garcia had been arguing earlier that day. The DA's office says Garcia and Martinez had been in an on-again, off-again relationship since junior high school, and that they had had a history of domestic violence. He had threatened to kill her on multiple occasions, and had stabbed her in the leg with a knife five weeks before the murder.